Rather than dichotomizing the teaching of English against in any local language, professor Neeta Inamdar argues that research shows that a simultaneous approach of multiple languages works better. 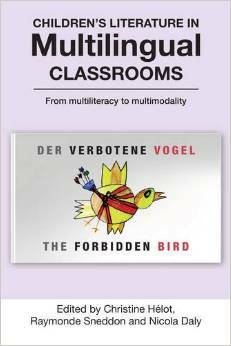 [MLE] Is multilingual education encouraging violence or peace? 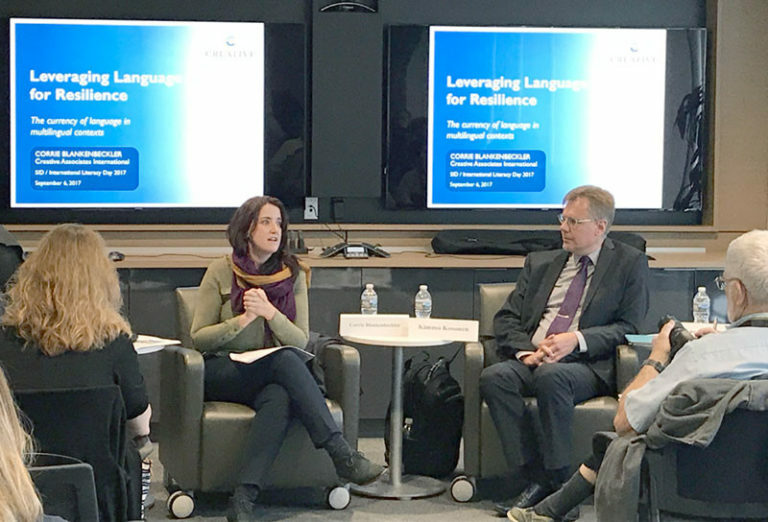 While visiting government officials I have often come across the assumption that multilingual education would foster separation movements and therefore violence. 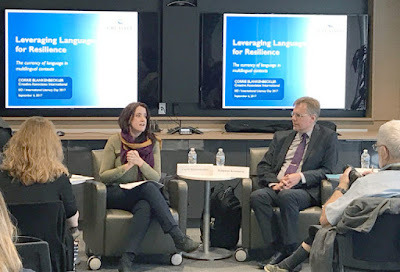 Recently a panel called "Linguistic tolerance as a tool for resiliency in multilingual societies against violence and radicalization" addressed this issue. As this is also relevant for India I post the reference here. We are often asked for research evidence with regards to the impact of MLE. Even though the below write up is not on a project in India, it seems to have enough similarity to make it relevant to take note of. The Endline survey of the pilot is showing that MLE children do better in particularly reading. As so many of us know Dhir Jhingran, let me also mention here about his recent article entitled: Writing on board: Sarva Shiksha Abhiyan must be phased out. Enough to read for today! Labels: children, economy, language, Multilingual Education, reading, research, test.